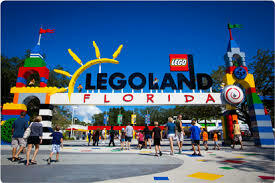 We currently have TWO family 4 packs of admission tickets to Legoland Florida, and would like to give them away to TWO special military families in the Tampa Bay area! If you are a Military service member, from any branch of the armed forces, retired or active duty, please email us NOW at info@healingheroes.org and tell us about your family! (You will need to supply a copy of your Military ID and/or DD-214 upon request.) Healing Heroes Network will choose TWO lucky families to visit Legoland Florida! As always, we are eternally grateful to all of our military heroes for their service, and we know that their families sacrifice so much as well... Through this giveaway, we wish to recognize the Heroes and military families right here in our own backyard, and hope to brighten someone's day by sending them on a fun filled day at Legoland! Hero families in the Tampa Bay area! Email us now, we are waiting to hear from you!